Clinical research is medical research that involves people like you. People volunteer to participate in carefully conducted investigations that ultimately uncover better ways to treat, prevent, diagnose, and understand human disease. Clinical research includes clinical trials that test new treatments and therapies as well as long-term natural history studies, which provide valuable information about how disease and health progress. Clinical trials are used to determine whether new biomedical or behavioral interventions are safe, efficacious, and effective. Clinical trials are often characterized in phases. For more information about different phases of research please visit the What is a Clinical Trial page on the Michigan Institute for Clinical and Health Research (MICHR) website. Patients with a specific heart diseases or conditions. Patients may either be inpatient at the hospital, receiving a procedure, or at a follow up appointment with their cardiologist. Volunteers are needed at all points during the course of care. Families of patients with a specific heart diseases or conditions may be asked to volunteer if the condition is genetic. Healthy volunteers play a key role in research studies. Healthy volunteers provide crucial health information that can be used as a comparison with individuals who have a specific disease or condition. Healthy volunteers often serve as the control group when researchers are developing a new technique such as a blood test or imaging device because healthy volunteers help define the limits of "normal." Michigan Medicine is involved in many important research trials and studies. Research being conducted at the Frankel Cardiovascular Center include many different kinds of trials and studies. Trials may be focused on surgical treatments, methods of disease prevention, new screening techniques, novel medications, or genetic analysis. To find out more about research currently recruiting participants at the Frankel Cardiovascular Center, please visit UMHealthResearch.org. 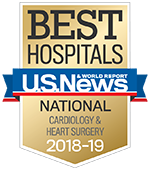 If you are a referring physician and are interested in clinical trials being conducted at the Frankel Cardiovascular Center, please contact our Clinical Research Recruitment Coordinator for more information at 1-888-286-4420 or CVCVolunteer@med.umich.edu. If you would like to join our referring physician network and receive the clinical trial highlights newsletter each month, please join our Clinical Trial Highlights email list. You must be a care provider to join. To learn more about participating in a clinical study at the Frankel Cardiovascular Center, please contact Rachael Privett, Frankel Cardiovascular Center Recruitment Coordinator at 1-888-286-4420 or by email at CVCVolunteer@med.umich.edu.